Have you ever wondered if the Amazon Kindle you or a family member are using emits EMF radiation? Well first of all, absolutely they do emit radiation, and it may be more or less than you expect. 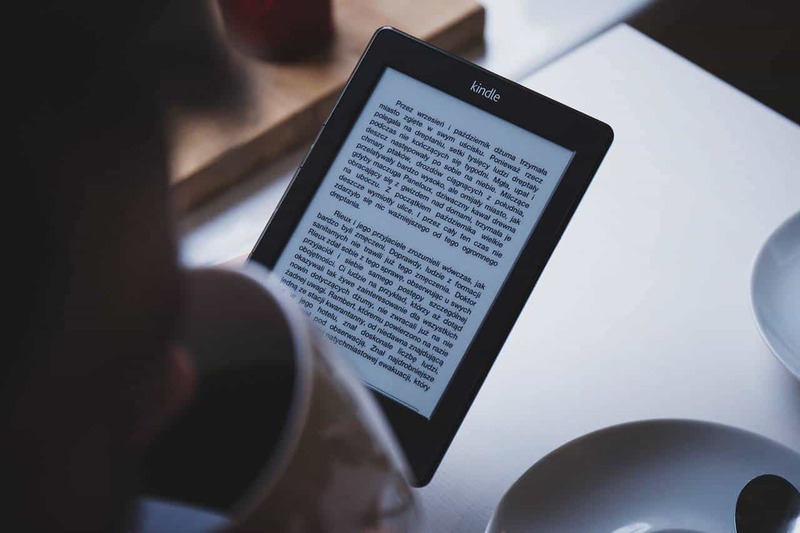 Just like an iPad or any other tablet, the Amazon Kindle, especially the Kindle Fire will emit electromagnetic frequency radiation in a few ways. Does The Amazon Kindle Emit EMF Radiation? Yes, an Amazon Kindle will emit EMF radiation, especially radio frequency radiation. However, it is probably less than many of the other devices you should worry about such as your cell phone or smart meter. 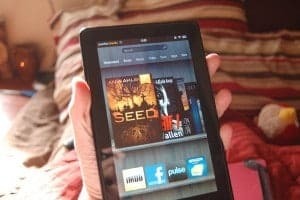 For the purpose of this article, I’ll be talking mostly about the Kindle Fire, as it is much more like an iPad in terms of radiation levels than a typical e-reader. The Amazon Kindle paper-white or Kindle e-reader both emit much less radiation, to the point that it really isn’t anything to be concerned with unless you’re holding it against your head for some reason. Just like basically all tablets on the market, today, the Kindle needs to be connected to WiFi to do just about anything, from reading a book to watching a show. This requires the device to be constantly emitting radio frequency radiation just in order to maintain the required connected, download the content, upload commands, download updates, and apps, etc. All of this requires the device to emit a fairly large amount of radiation. The reason that the Amazon Kindle paper-white or Kindle e-reader isn’t as much of a concern is that for the most part, it downloads only a very small amount of data for the book, and then does not require a continued connection, as you can just download a series of books and not even utilize WiFI to read them. As well as radio frequency radiation, an Amazon Kindle is also going to emit some magnetic and electric field radiation from the circuitry itself. I’d highly encourage you if you don’t already have one to get a quality EMF meter that can measure this so you can better understand how much radiation you’re being exposed to. I talk about good EMF meters down below. Now, you may wonder, with an Amazon Kindle Fire, is it emitting radiation all the time? Yes, it is, but it emits far less when you are not actively using it. Whether you are using it for Skype, or Netflix, or anything else, this requires it to constantly download data which will pull more from the WiFI and emit larger amounts of radio frequency radiation. If you’re not familiar with the dangers of EMF radiation, I’d encourage you to take a minute and check out some of the other posts on EMF Academy, as I talk extensively about EMF radiation, why it’s dangerous, and how we can protect ourselves. Or, if you want to save some time, you can skip down to the bottom of this article to the “EMF Protection Basics” section where I talk about some handy resources. What Is A Safe Distance To Use An Amazon Kindle? Unfortunately, this is not published information. If you take a look at the Amazon Fire User Guide, you’ll see that it states on page 20 “Your Device is designed and manufactured not to exceed the emission limits for exposure to RF energy set by the Federal Communications Commission of the United States (FCC).” However, if you’ve read my post on the Specific Absorption Rate (SAR) of cell phones, you’ll see why these FCC guidelines may not be properly mandated to protect the public. So, since we don’t have much to go on as far as a stated distance, let’s take for example the fact that Apple suggests keeping your iPad at least 6 inches away at all times. The bottom line is, the greater the distance between you, and the Kindle (or any other device) the lower your exposure to the radiation will be. This is due to something called the Inverse Square Law of Physics, which essentially states that as we double the distance between ourselves and a source of EMF radiation, we quarter our exposure to it. So the farther away you can keep devices like iPads, Kindles, Cell Phones, or anything else, the lower your radiation exposure will be. I would suggest getting a case that has a stand, so you don’t have to hold it in your lap or right in front of you all the time. Better yet, consider getting an EMF protection tablet case from SafeSleeve (read my full review of the SafeSleeve products). They make super high-quality cases that tri-fold into a stand, as well as block EMF radiation from the device itself. SafeSleeve makes my absolute favorite EMF protection cell phone case, but all of their products have been scientifically proven to protect you from EMF radiation in FCC accredited lab tests. Ok, now that we’ve established that the Amazon Kindle fire absolutely does emit EMF radiation, let’s talk a little bit about how you can protect yourself (besides getting a SafeSleeve case). Obviously, the first thing you can do is limit your use of the device. In our modern world, nearly every device we use emits EMF radiation. It is now scientifically known that the damage from this radiation is cumulative, and builds over time. So anything we can do to reduce our exposure will help. If you’re using the device to do anything that does not require WiFi, such as reading a book you’ve already downloaded, turn the WiFi off, or turn the device into airplane mode to dramatically reduce the radio frequency radiation. Remember distance! If you or your child are using the Kindle, make sure that it is not too close to the head, try to keep at least a few feet between you and the device at all times. Get an EMF meter – If you’ve read many posts on EMF Academy, you know that I often recommend getting an EMF meter, and it’s for good reason. An EMF Meter not only helps you to better understand the amount and type of radiation devices are emitting, but it also helps you know if the protective steps you are taking are working. For example, if you purchase a case from SafeSleeve, you can actually measure the reduction in radiation with an EMF meter. I personally have and love the new TriField TF2 (read my review) as it’s simple to use, lasts forever, is extremely accurate, and measures all three types of EMF radiation. If you’re looking for a low-cost EMF meter I really like the Meterk (read my review). What Else Can I Do To Reduce My Exposure To EMF Radiation? To start with, take smart steps to reduce EMF radiation in your home and at work. Start by reading the following articles and E-Books. A Non-Tinfoil Guide To EMFs (Couldn’t recommend this book any higher, it does cost a few dollars but is more than worth it. Alright, we did it, we made it through the whole article! I truly hope you enjoyed my article on Amazon Kindle Radiation, if you did, please consider sharing!